Jesus told us that the church is to be characterized and identified by our love (see John 13:35). In most social organizations, respect and love for fellow members can be found. One can experience love and acceptance in a variety of social situations. Love for one another is not unique to the church. 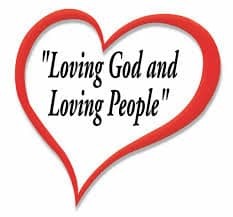 The church is to up the ante by going beyond love for the members and loving those who are enemies (Matthew 5:43-44). We are to be identified by our love for those both inside and outside the membership ranks. How we interact with those who oppose us is the real test. How we deal with opposition is the opportunity for the true character of the Christian to be displayed. Notice that Jesus does not give us a doctrinal or theological marker. Doctrinal purity is not the way that the church is to be identified. We are not to be known for our exuberant worship. We are not to be known by our stunning graphical displays or beautiful buildings. We are to be known by our love. While we should not change the message of the Gospel, we need wisdom on how we present it to those who desperately need to hear it. I have been in churches where I (as a Christian for a long time) was extremely uncomfortable with the dogmatic rants that misrepresented the love of God for humanity. In these situations the rant took the form of “here is the correct understanding of this verse/issue, and everyone who disagrees has this wrong.” I doubt that any n0n-believer in the audience would have come away feeling welcome or loved. This is not to say that correct doctrine is not important. There are interpretations of the Bible that are clearly outside of orthodoxy and these should be opposed. But they should be opposed in a way that is loving. They should be opposed in a way of which Jesus would approve. But too often opposition to incorrect theology is done in a way that is not characterized by love. How infinitely wise of our master to encourage us to present our case in love (Ephesians 4;15). To brow beat someone into theological submission does nothing to change his heart. But to lovingly present the truth of Scripture gives God the freedom to work in that person’s life in a way that avoids violence to his psyche. I read recently of a poll done after a debate between a prominent atheist and a prominent Christian apologist. The poll revealed that at the end of the debate almost no-one in the audience had their opinion changed. Both parties in the debate articulated their positions well but few converts to either position were made. If correction needs to be made, it must be done in love and acceptance. No-one likes the boss that berates his subordinates. Whey then would we think that caricaturing a position or ridiculing a non-believer would produce anything other than resentment? Think about how simple Jesus made things toward the end of the Sermon on the Mount. The test for entry into Heaven is not a theological one. The true test is whether we are in relationship with Jesus or not. He also tells us that the evidence for that relationship is obedience to the will of the Father (Matthew 5:21). Elsewhere, Jesus told us that the two great commands are to love God and love neighbor (Matthew 22:36-40). If visitors are not walking away from your church overwhelmed by love for members and visitors alike, something is wrong. The only antidote is to repent and come into right relationship with Jesus.